According to the IFOP survey for the French weekly Le Journal du Dimanche, there are 77 percent of opposition La France Insoumise (France Unbowed) party supporters and 79 percent of the French National Rally (RN) party supporters among those who suggest that Macron has not changed his policy. 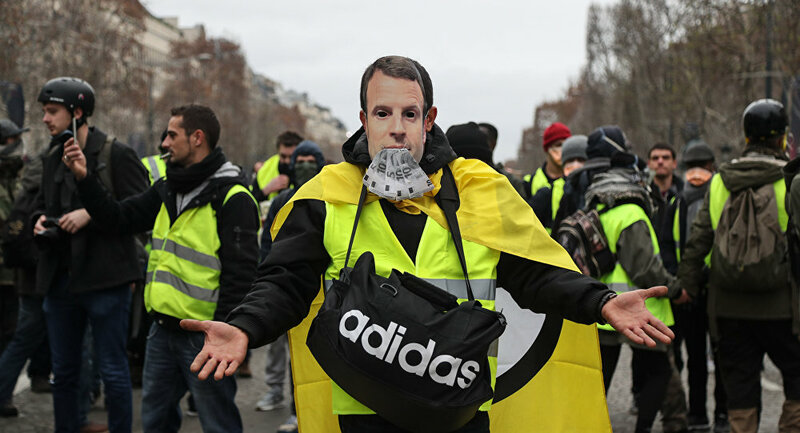 Eighty-five percent of the French demand that Macron change his attitude toward concerns of the French people, while 80 percent want the president to change ways he communicates with them. The poll also showed that 78 percent of respondents thought that the president had to amend his political course, as well as economic and social policy. The survey was conducted among 1,008 respondents over the age of 18 in France on January 24-25. The margin of error is between 1.4 and 3.1 percent. 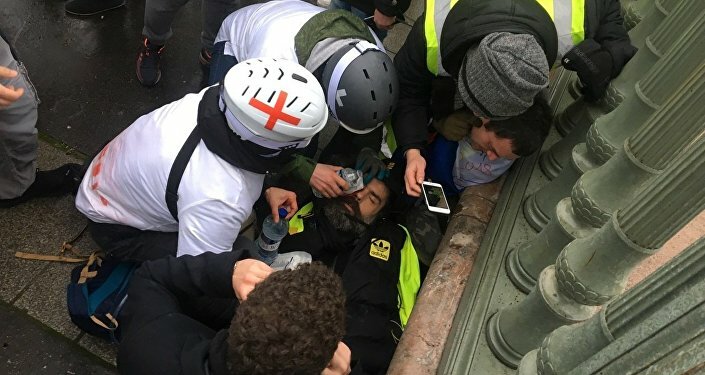 The wave of the so-called yellow vest protesters — named after the obligatory attribute of French drivers — started in France in mid-November. The French government has scrapped its planned hike in diesel taxes that sparked the protests and introduced a number of measures to resolve the nation's economic and social crisis, but the yellow vests have since morphed into a broader movement against government policies and rising living costs.